Following two wins yesterday, both the #50 driven by Ian James and Mathew Keegan, and the #51 driven by Preston Calvert finish second in the Pro/Am and Am classes respectively during the final round of the GTS Sprint-X Championship. 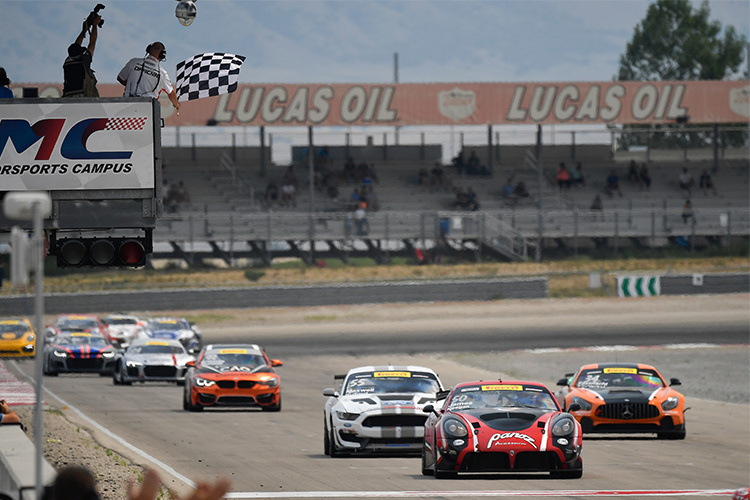 A second day of podiums for both Panoz Avezzanos at Utah Motorsports Campus. Starting on pole, the #50 driven by Ian James and Mathew Keegan finished second, reversing the positions of yesterday’s race with the #69 driven by Harry Gottsacker. Starting in eighth, the #50 driven by Preston Calvert, had an eventful race, but finished second in class, ninth overall. From the first corner, the race proved it was going to be challenging. With the first yellow flag being called and sand in the air making visibility almost impossible, both James and Calvert lost ground to second and 13th respectively, but managed to avoid damage or being caught up in the accident. As the race continued, Calvert made up positions and was running third in class prior to pitting. After pit stops timed to perfection, Calvert returned to the track in second and Keegan returned to the track leading the race. Calvert made expert work of the traffic and was soon leading the Am class before accident struck again, causing the #51 to move back to third. With only one lap under green at the end of the race, Calvert made ground and snuck past the #71 to take the checkered flag second in class, ninth overall. Keegan put on a strong performance but with only one lap, was not able to get around Gottsacker in the #69, so also crossed the finish line in second. A strong weekend for both Panoz Avezzanos, each taking a win and a second during the final round of the GTS Sprint-X Championship. 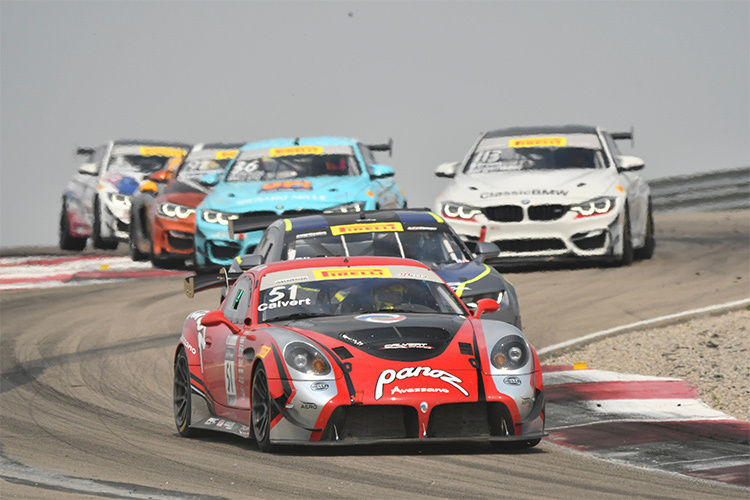 Next up for Team Panoz Racing are PWC GTS & GTSA Championship rounds seven and eight at the GP of Watkins Glen, August 31- September 2, 2018, Watkins Glen International, Watkins Glen, New York. This will be the final race weekend of the GTS Championship. * Dr. Calvert, a nationally-recognized neurologist and neuro-ophthalmologist for more than over 30 years, serves as a media advisor to the Pirelli World Challenge Safety Team and also is director of the series’ new mTBI (minimal Traumatic Brain Injury) Screening Program for driver safety as part of the protocol for possible concussion testing among PWC drivers.